On Monday, as Americans honored the life and legacy of Dr. Martin Luther King, Jr., some may not have been aware that the Immigration and Nationality Act of 1965 was among the many hard-won victories of the Civil Rights Movement. This legislation abolished race-based quotas that reserved admission primarily for Northern European immigrants and put in place a family-based system that opened up immigration from countries across the globe. By removing racial and national barriers to entry, the Immigration and Nationality Act has literally changed the face of America. 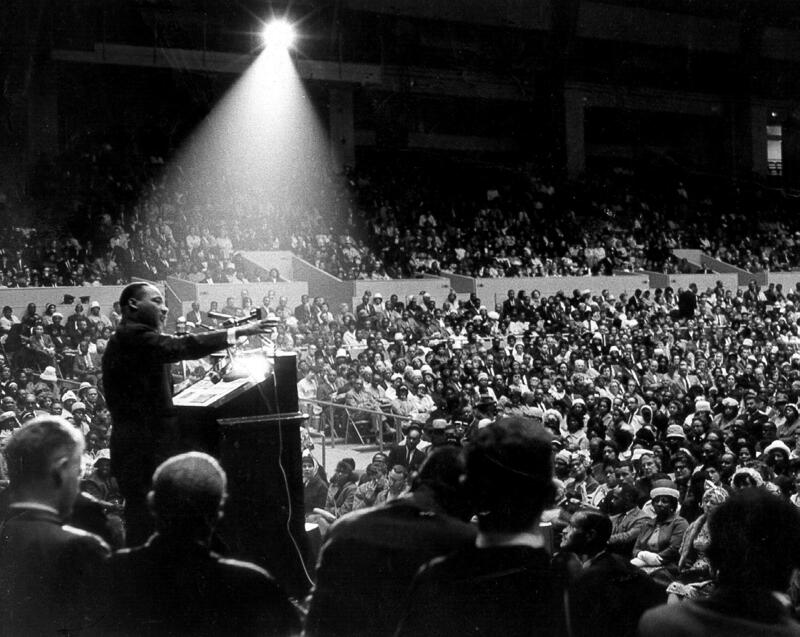 The celebration of Dr. Martin Luther King, Jr. also served as a sobering reminder of how far we still have to go to realize his dream and our shared hopes for an equitable, inclusive society. Two years into the current presidential administration, immigrants, refugees, and other marginalized communities across America remain targets of hostile, exclusionary policies driven by racism, xenophobia, and hate. The pace, volume, and scale of adverse policy changes—and the resulting human devastation—are staggering. Attacks on immigrants—from those seeking refuge to those with temporary or no status to those who have become U.S. citizens—are expected to continue unabated in 2019, further straining advocacy, service, and movement organizations and raising difficult resource allocation questions for funders. These attacks have been decades in the making, the result of a concerted, persistent, and well-financed movement to dismantle immigration and spread a fear-based ideology that is now being championed by the highest reaches of our government. For the past two years, many of us in philanthropy have been in rapid response mode, standing up for immigrants and seeking to mitigate the impact of the relentless anti-immigrant onslaught. But pushing back against individual policies and crises is not enough. It is time for us to dream again—and dream big. We cannot afford to focus solely on resisting our present reality at the expense of designing the future we wish for. To combat insidious, structural injustices and live up to our nation’s values and aspirations, we need a long-term affirmative vision that not only matches but surpasses the opposition’s in ambition and scope. Embrace immigration as a defining issue of our time. This issue is squarely at the center of our national debate and will have a reverberating impact on the work of philanthropy and our shared future. We cannot address systemic disparities unless we intentionally include immigrants and refugees in our funding strategy. Build bridges and connect silos. We also cannot prevail in this struggle by focusing solely on immigrants and refugees, or on any other single population or issue, without addressing their complex interplay. We are all interconnected, and what oppresses one, oppresses all. To fight polarization and create a society that reflects our values, it is imperative that we work across communities, bridge movements, and connect funding silos. Think at least a decade into the future. Effecting lasting systemic change, whether at the policy or community level, will not happen within a three-year grant cycle. Nor will the policies put in place during this administration—and the deeply entrenched nativist movement behind them—be reversed in the next election cycle, regardless of who is in power. The consequences of current policies are widespread and profound, and immigration will be an overarching issue for philanthropy for the foreseeable future. Commit significant long-term funding that gives the field real capacity and flexibility to address the daunting challenges before us. These are not ordinary times—consider dipping into reserves or spending more than the minimum five percent. Connect rapid response to a broader strategy. There is no doubt that rapid response will be needed for at least the next two years, but we play into the hands of anti-immigrant forces when we allow each crisis to divert our attention from our long-term goals. Instead, build rapid-response funding into annual grants budgets, put in place a streamlined process for deploying these resources, and going beyond humanitarian relief, support rapid-response efforts that are based on sound policy and political analysis and tied to a broader strategy that takes into account infrastructure and capacity needs in the long run. Looking ahead, GCIR will continue to provide philanthropy with the leadership, tools, and expertise needed to make high-impact grants. We will build on our recent work on family separation and public charge, continue to take a strong public stand against egregious policies, and redouble our efforts to mobilize philanthropy to project a unified voice and work together toward a long-term affirmative vision. 2019 will be a pivotal year—an opportunity for all of us to take strategic steps to turn the tide, shift the narrative, restore fundamental rights, and advance justice, equity, and inclusion. GCIR stands ready to take on this challenge, and we look forward to partnering with the philanthropic community to build a more just and hopeful future for all.